SPOT.ph lists 10 must-know facts about the Philippine landmark. Ghost stories, ejection blues, and other trivia. President Benigno "Noynoy" Aquino III was adamant about not staying in Malacañan Palace--the official residence of the President of the Republic of the Philippines--because he thought it had "negative vibes." Though he may have a point, the landmark is already a part of our history. Even if P-Noy lives elsewhere, we can’t help but associate the Palace with Philippine presidents. SPOT.ph lists 10 must-know facts about the Philippine landmark. The Palace is one grand place. 1. The name game. Some say that the Palace’s name was derived from "may lakan diyan," which is Tagalog for "there’s a noble man there." Others say it was derived from "mamalakaya," which means "fishing village." What’s definite is that the street where the house stood was once called Calzada de Malacañan, without a "g," as you would see it spelled in Spanish publications in those days. Thankfully, the street hasn’t had its name changed too many times. The street was renamed Aviles (after Jose Vicente de Aviles, the Count of Aviles, who was a resident in the area). In 1959, it was renamed President Jose P. Laurel Street. Thankfully, that street name has stuck--resisting even the predilection of politicians for constantly changing the names of streets. He’s not living in the Palace itself, but P-Noy seems to be open to holding official functions there such as the inaugural reception last June 30, 2010. 2. To "g" or not to "g." So, is it "Malacañan" or "Malacañang"? The Spanish colonizers preferred to drop the "g," the terminal "ng" being an uncommon sound in their language. 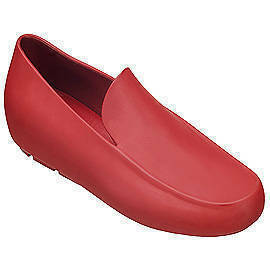 The Americans, despite having the terminal "ng" sound in their language, continued to use the form. President Ramon Magsaysay wanted the "ng" retained, ordering in 1963 that the place be referred to as "Malacañang, Residence of the President of the Philippines." But in 1965, President Ferdinand Marcos, during his first term, adopted the g-less form. Then, as ordered by President Cory Aquino, the structure would officially be known as Malacañan Palace (without the "g") and the Office of the President alternatively as Malacañang (with a "g"). This Rigodon de Honor at the Palace’s ballroom was part of the 2009 Independence Day celebrations. Various VIPs participated in the traditional dance. Miss International Precious Lara Quigaman has Senator Bong Revilla as her partner. 3. Earthshaking-events force official status. The Palace started out as a modest private summer rest house of Don Luis Rocha, a surgeon who built it on land he bought in 1766 from Don Antonio Dias Conde for P425. In 1802, Col. Jose Miguel of the Spanish Army bought the property from Rocha for 1,100 Mexican pesos, according to Tingting Cojuangco in her Philippine Star article. When Miguel died, his executors offered it for sale. However, it remained idle property until the government, through Governor Genereal Mariano Ricafort Palacin, bought it in 1825. After 27 years, in 1847, Spanish officials finally got a royal decree formally declaring the place as "the official summer residence" of the Spanish governor general, christened a year later as Campo de Malacañan. It took two big earthquakes for the government to finally decide to make the house "the official residence" of the governor general. The first one struck in 1863, which damaged the official Palacio de Gobernador in Intramuros, and the next was in 1869, which again destroyed the structure. So in 1869, Governor General Rafael de Echague became the first chief executive to move into Posesion de Malacañan, as the offical residence was renamed a year earlier. The Palace Museum holds "goodies" for history buffs. 4. Of milestone tenants and ejected presidents. Since Governor General Rafael de Echague moved into Malacañan in 1869, it has served as official residence to 63 Spanish, 11 American, and 13 Filipino chief executives. Check out the other milestone tenants. But not all those who managed to get in wanted to stay there. So far, three presidents have refused to live in Malacañan itself, using it only for official functions. Cory Aquino, who was swept into office by the 1986 People Power, lived at the Guest House on nearby Arlegui Street outside the Palace. Fidel V. Ramos, who succeeded Aquino as the first president elected under the 1987 Constitution, also chose to live there. Meanwhile, President Noynoy Aquino has chosen to live in Bahay Pangarap, which is located in Malacañan Park. As for ejected presidents, the first was Quezon, who was forced to flee to Corregidor in December 1941 to escape the Japanese invaders during World War II. He was never to see the Palace again, as he died in exile in the US, before the war ended. Then there were Ferdinand Marcos Sr. and Joseph Estrada who were forced out by People Power, Parts 1 and 2, respectively. Marcos, of course, was Malacañan’s longest-staying tenant, living and working there for 20 years, from December 1965 to February 1986. Sergio Osmeña Sr., who as vice president of the Commonwealth took over the top post on Quezon’s death in 1944, had the briefest stay there. from February to May in 1945. He lost the presidency under a once again independent republic to Manuel A. Roxas. Then President Gloria Macapagal-Arroyo presented the Ani ng Dangal Award to actress Angel Locsin for the ABS-CBN primetime show Lobo at Malacañan on February 26, 2010. Locsin ran into Richard Gutierrez, her perennial screen partner when she was still with GMA-7. 5. First Pinoy president but not first Pinoy resident. Gen. Emilio Aguinaldo, the first Philippine president, did not live in Malacañan--not as a chief executive anyway. In 1901, he did stay there for a few weeks, but as a "guest," actually a prisoner, having been being captured by American soldiers near the end of the Philippine-American War (1899-1902). His "host" was the military governor general, Brig. Gen. Arthur C. MacArthur Jr., father of Gen. Douglas MacArthur, who in World War II would lead the American forces that would liberate the Philippines from the Japanese. In honor of our first president, the room where he was held is now officially known as the Aguinaldo State Dining Room. After beating Joshua Clottey in March 2010, Manny Pacquiao paid then President Gloria Macapagal-Arroyo a courtesy call. 6. Holdover tenants. Let’s not forget the people actually who run the household and manage the Palace grounds. Many of them have inherited their jobs from parents or relatives who had been Palace employees. And some have lived in the premises longer than any president, except Marcos. Following a tradition started since the Quezon Administration, the outgoing president would request his successor to retain as many of the housekeeping staff as possible. One of them was Raul Gonzalez, namesake of the former Justice secretary. His father, engineer Arturo M. Gonzalez, who was appointed by Quezon sometime after 1935 as Malacañang’s buildings and grounds superintendent. The elder Gonzalez held the position until a soldier ran amuck in the Palace grounds and shot him dead in December of 1949. His son, then 15, saw everything, held his dying father in his arms. The son, a San Beda College alumnus, who would become a journalist, wrote about his experiences in a book, My Malacañang, published last year. In the first chapter, he writes: "Except for Ferdinand Marcos, no president of the Philippines lived in Malacañang longer than I did. You read it right-’than I.’ And yes-’lived,’ as in resided, ate, drank, slept, wakened, thought, dreamt, fell ill, got well, played, laughed, wept, prayed. And yes, yes-’longer,’ 12 or 13 years." Macapagal would later appoint Gonzalez as press secretary. When Marcos became president in 1965, Gonzalez decided to work in the private sector at the same time writing occasionally as an opinion columnist for some Manila broadsheets. In 1986, under the Aquino Administration, Gonzalez was named GSIS vice president for public relations, a position he held until 1998. The Palace turned into a relief and evacuation center during the Ondoy aftermath. 7. No dead presidents. No president has ever died in the Palace itself, not even the ailing Marcos who had part of the Palace converted into a virtual hospital. Three presidents, though, died during their terms: Quezon, who died in exile in the US in 1944; Roxas, who had a heart attack after giving a speech in Clark Air Base in 1948; and Magsaysay, who died in a plane crash in 1957, the only president to have passed away in an accident. The remains of Quezon, Roxas, and Magsaysay--along with those Osmeña, Elpidio Quirino, Carlos P. Garcia, and Diosdado Macapagal--lay in state in Malacañan. Like Quezon, Marcos died in exile. P-Noy’s first day as president. 8. Mr. Brown and the ghost of Quezon. As with many other old houses, Malacañan--with its overwhelming number of rooms linked by seemingly endless corridors--has gained the reputation for being haunted. The most famous ghostly tenant is Mr. Brown, as presidential kin and staff since the Quezon Administration have called him. Or Father Brown, as Ramon Magsaysay Jr., son of the most popular president in history, referred to him in a recent interview for the TV program Probe Profiles. According to some housekeeping staff interviewed for the same show, Mr. Brown was a tall, good-looking mestizo who would appear under an old Balete tree in the front yard of the Palace. Ilocos Norte Gov. Imee Marcos, a former presidential offspring, did say that she actually once saw a ghost in the Rizal Room, where visitors are received. She said the ghost was Quezon in a robe and he was smoking. She said she had recognized the presence as Quezon from the portrait that hung in the Reception Hall. This Motillium ad spoofs an imaginary encounter between Ate Glow (a.k.a. Rene Boy Facunda), who impersonates Gloria Macapagal-Arroyo, and a Barack Obama look-alike. 9. Top-drawer guest list. Malacañan is probably the only place in the country that has entertained as many big celebrity guests as the Manila Hotel, another historic landmark that has endured from the Spanish colonial era. Through its Grand Staircase, where each new President would enter to officially assume office, so many celebrated soles, foreign and local, have passed--popes, kings and queens, heads of state, entertainers, and athletes. Two of the more notable guests, for historic reasons, were His Majesty King Juan Carlos I de Borbon and US President Dwight D. Eisenhower. Eisenhower became the first incumbent US president to visit the Philippines when he arrived in Manila on June 14, 1960. In fact, he was the first chief executive of his country to visit a former colony. It was also a nostalgic visit. As a lieutenant colonel in the 1930s, Eisenhower was the aide of Gen. Douglas MacArthur, who served as the military adviser of Quezon. Eisenhower used to hold office in Malacañan. On the other hand, King Juan Carlos I was the first of the Spanish royalty to have set foot on what was once the residence of his ancestors’ governor generals since the Philippines got its independence in 1898. He is a grandson and the successor of King Alfonso XIII, who was the reigning monarch (1886 to 1931) during the Philippine revolutionary period. His first state visit was in 1974, with President Ferdinand Marcos as incumbent. He was still a prince then but already acting head of state, appointed by Generalissimo Francisco Franco, Spain’s authoritarian leader then, was already ailing. The prince was here, among other things, to attend the reinstallation of the statue of Queen Isabella II in Intramuros. The queen was his great grandmother. His next visit, as a King with his wife, Queen Sofia, was in 1995. It was to reciprocate the visit of President Fidel V. Ramos to Spain the previous year. In 1998, they were here again to attend the Centennial of Philippine Independence, with President Joseph Estrada as the incumbent. In 1966, four British pop stars were eagerly expected in Malacañang by First Lady Imelda Marcos. Through some mix-up with the promoters and Palace staff, the musicians--better known as The Beatles--never showed up. The alleged snub of the First Lady made the headlines of the broadsheets. After the concert at the Rizal Memorial Coliseuem, The Beatles had to carry their own luggage from the Manila Hotel and literally run for their lives at the airport with a mob of angry Marcos supporters close on their heels. If only the Palace’s walls could talk. 10. Cost of housekeeping. From a modest summer house, Malacañan has expanded to a high-security complex of buildings. Since Spanish times, some of its tenants would do their bit of redecorating and renovation. Some of the work was really necessary. In its long history, the Palace has been damaged ever now and then--by earthquake in 1872, by fire and storm in 1873, by another earthquake in 1880, by gunfire during World War II in 1945, and another fire in 1982. But the most extensive structural changes were ordered by First Lady Imelda Marcos through the 20 years that her husband, President Ferdinand Marcos, was in power. So how much do taxpayers have to shell out for the upkeep of this prime bit of real estate? According to a report of the Commission on Audit, the Palace housekeeping cost was P2.36 billion in 2006. That’s P196 million a month. Or more dramatically, P6.5 million a day. Now that’s one good reason for voters to make sure that whoever they get into the Palace would prove worth the housekeeping bills. For more information, visit the website of the Malacañang Museum. The documentary, "The Road to Malacañan," is available at the Probe website. 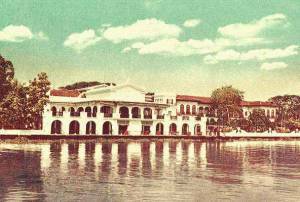 Art by Warren Espejo, photo of Malacañan palace from an undated postcard.